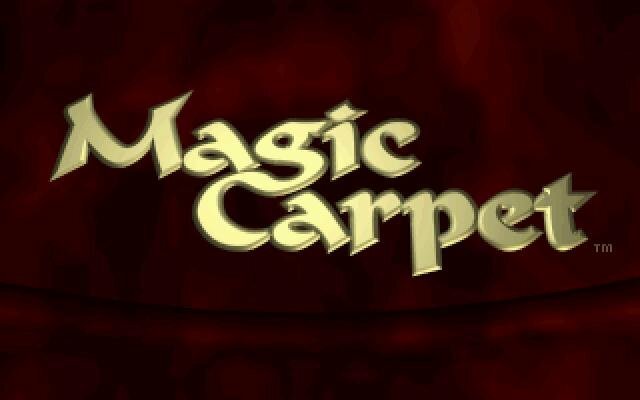 You could conceivably call Magic Carpet a flight simulator, where you pilot a magic carpet in a “Thief of Baghdad” setting, casting spells to combat monsters and evil wizards. 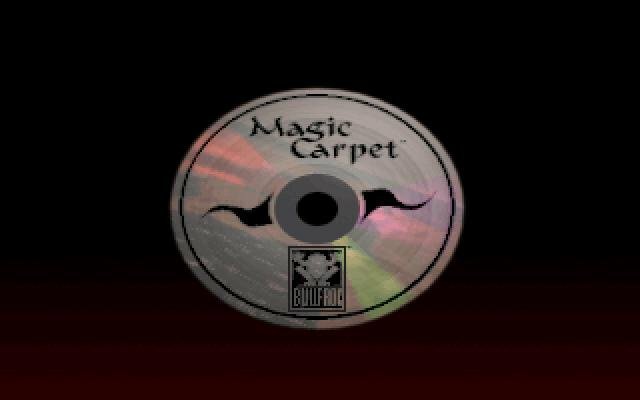 But this is one of those games you have to see to believe — and even after a few hours of play, you still may not believe it, because like the very best computer games, Magic Carpet just keeps hitting you with originality. 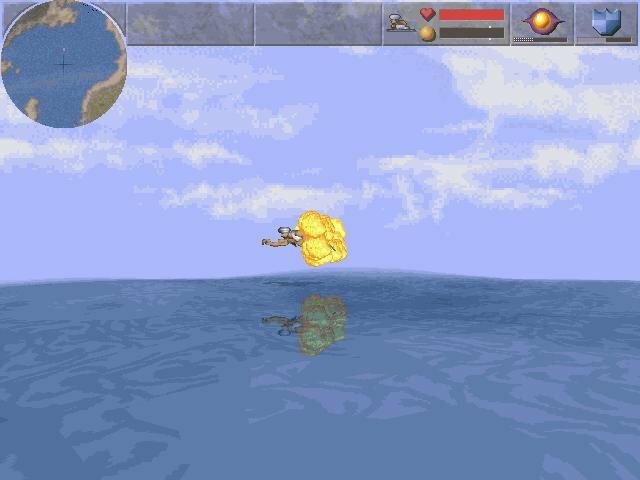 Let’s start with the graphics. 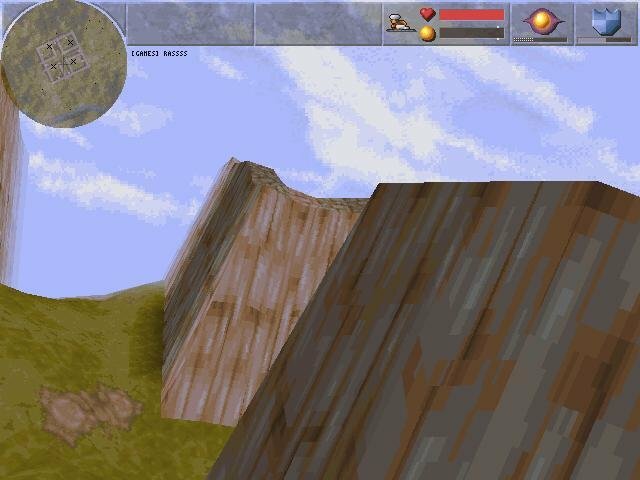 Bullfrog used texture-mapped polygons to create the 3D hills, mountains, volcanoes, and castles that make up the worlds of Magic Carpet, and the effect is quite nothing you’ve ever seen. 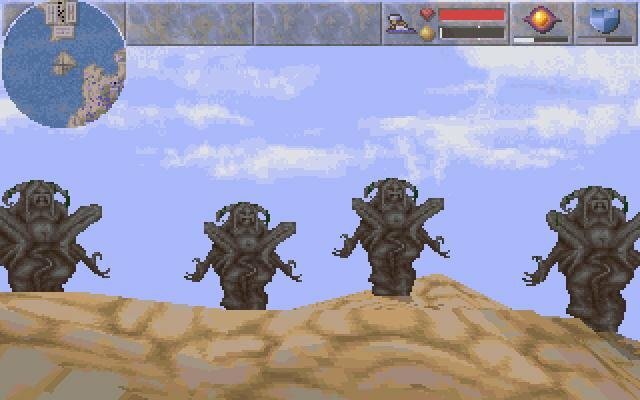 This was at a time when Doom II was around, and that game’s excellent though purposefully claustrophobic levels can’t even begin to compare with Magic Carpet’s majestic outdoor environments. 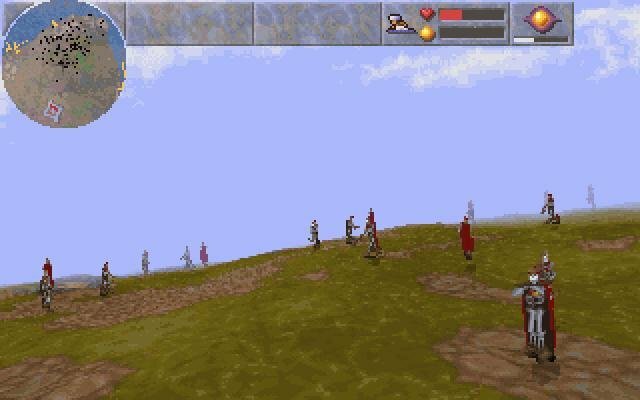 It’s easy to suspend your disbelief and simply lose yourself in the game. Like any good action game, Magic Carpet has you constantly moving, flying from one end of the map to another; destroying monsters; attacking the enemy’s castle as you defend, repair, and improve your own; and collecting the spells and “mana” spheres that give you your power. 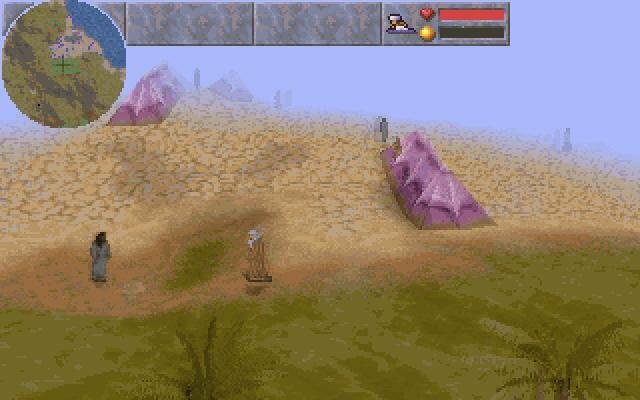 Every level, or world, of the game offers new challenges, new monsters, and new spells. You won’t find a pet strategy that will serve in every situation, so you’ll have to stay on your toes. 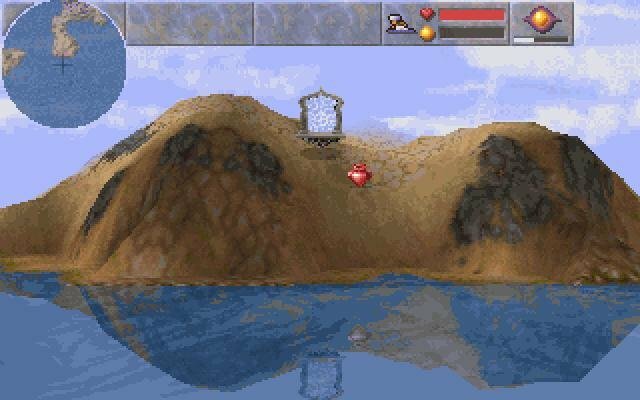 Best of all, the game’s difficulty curve keeps things very challenging without ever making it impossible. Magic Carpet’s AI is extremely tenacious, but just when you think you’ve hit the “brick wall” that you find in so many other games, things will begin to turn around and you’ll be on your way to another level. 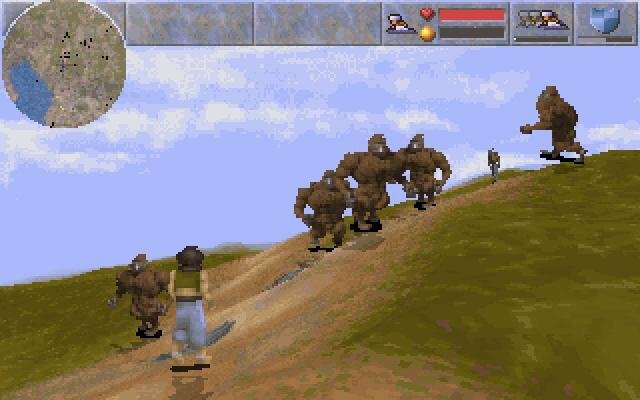 As if great visuals and perfectly balanced gameplay weren’t enough, the designers of Magic Carpet threw in some more goodies: 3D graphics and support for multiple players. 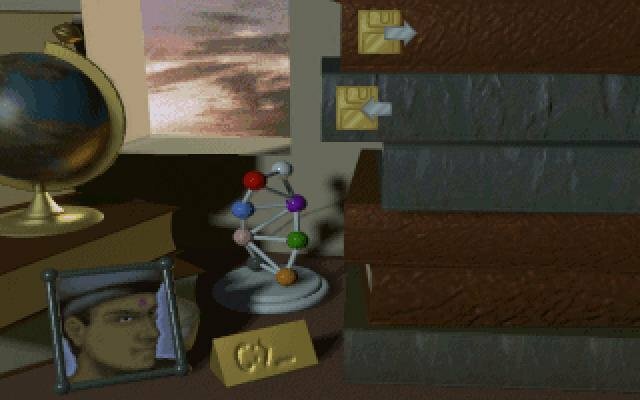 The game comes with those old-fashioned red-and-blue 3D glasses, but there’s also support for VR headsets, and even a stereogram mode for people who are good at those “Magic Eye” pictures. 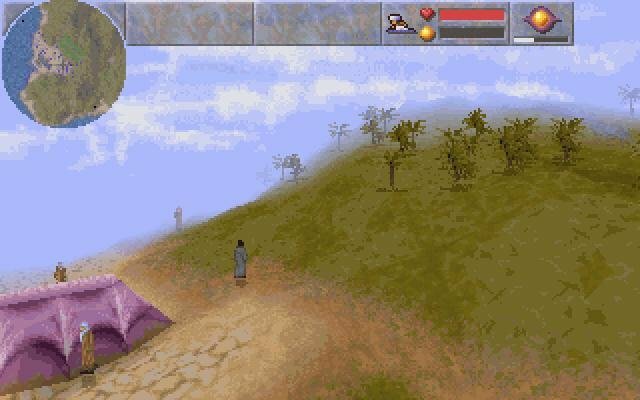 And gamers with access to a local-area network can play Magic Carpet with up to eight people at a time. 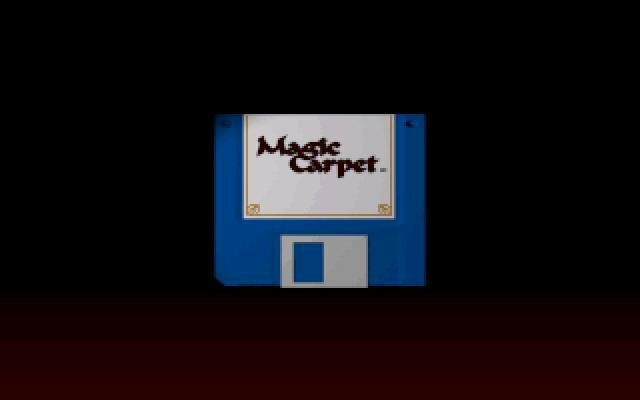 It’s almost pointless to talk about Magic Carpet’s replay value, since that issue may never enter the picture. 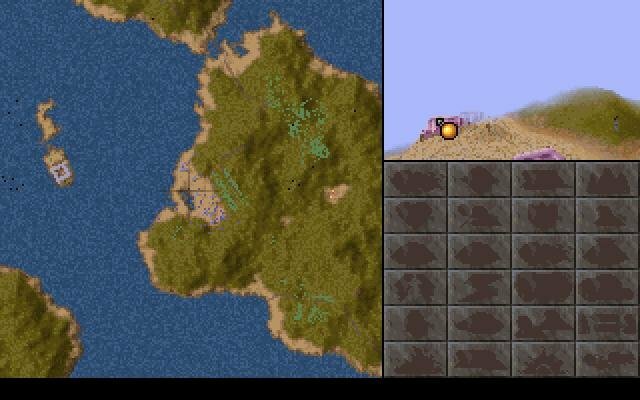 The game comes with 50 levels, most of which can take hours to complete, and the designers even included a great utility that can change any .PBM-format graphic file (a compressed version of .LBM) into a new map. 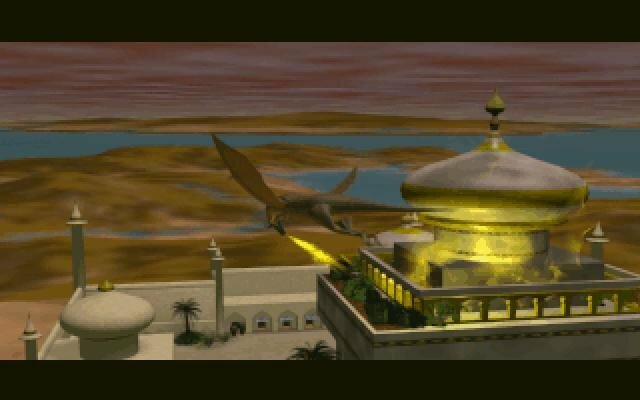 So if you’re looking for the heir to Doom’s fame and fortune, you’d do well to get your head out of those gunsmoke-filled mazes and into the clouds over Al Jahan, or Shai Yulim, or any of the 48 other worlds of Magic Carpet.